We are excited to announce that First State Bank of Arcadia is becoming Crews Bank & Trust. We’re retaining the same family ownership and the same focus on our customers and their businesses. We are excited to announce that First State Bank of Arcadia is becoming Crews Bank & Trust. 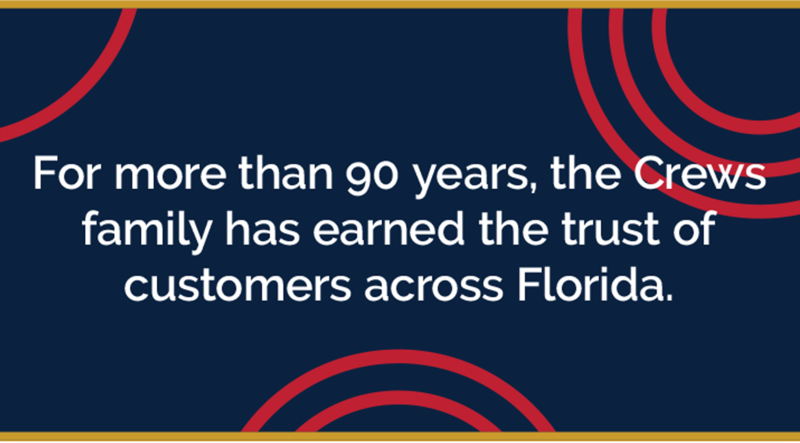 We’re retaining the same family ownership and the same focus on our customers and their businesses. For generations, we have been the family-centric bank people can count on. So stay tuned for more announcements as the name change approaches. We think you’ll be pleased with our direction as we continue to grow, delivering you more resources and ﬁnancial services — not just as your local bank, but also as a larger community player. We consider you a valued customer and will be more than happy to answer any questions you may have. Please share the good news with your friends and family. And thank you for banking with us. You received this email because you are subscribed to Marketing Information from First State Bank of Arcadia.